We carry a large selection of aluminum plank bleachers which are used for both indoor and outdoor applications. Bleachers are available with several options such as number of rows, width, rise, aisles, guards and tow-kits. 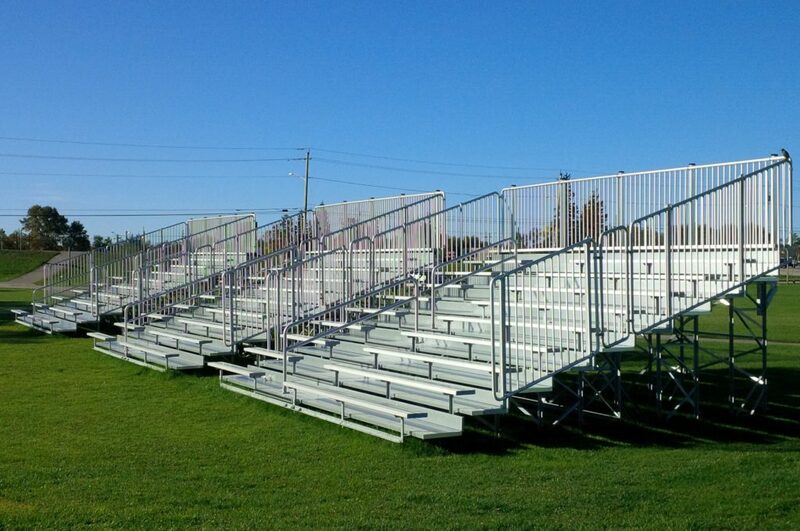 All our bleachers are built to comply with Canadian building code and are welded by CWB certified welders. We will be happy to assist you in the design of your own bleacher system.